The Rougois Automatic Naval Diver Mechanical Skeleton Dial Watch makes a fashion statement. Its stylish skeleton dial design adds a trendy feel to your collection. This watch begins with a stainless steel case with a rounded rose gold stainless steel unidirectional bezel with a textured coin edge. 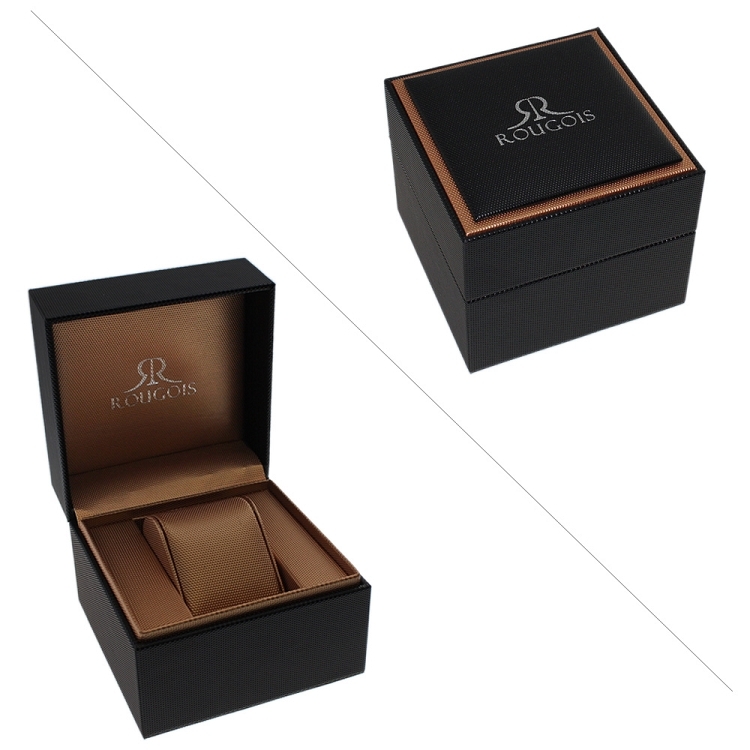 The right side of the case features a large crown with a screw-down cap attached to the case with a link chain. 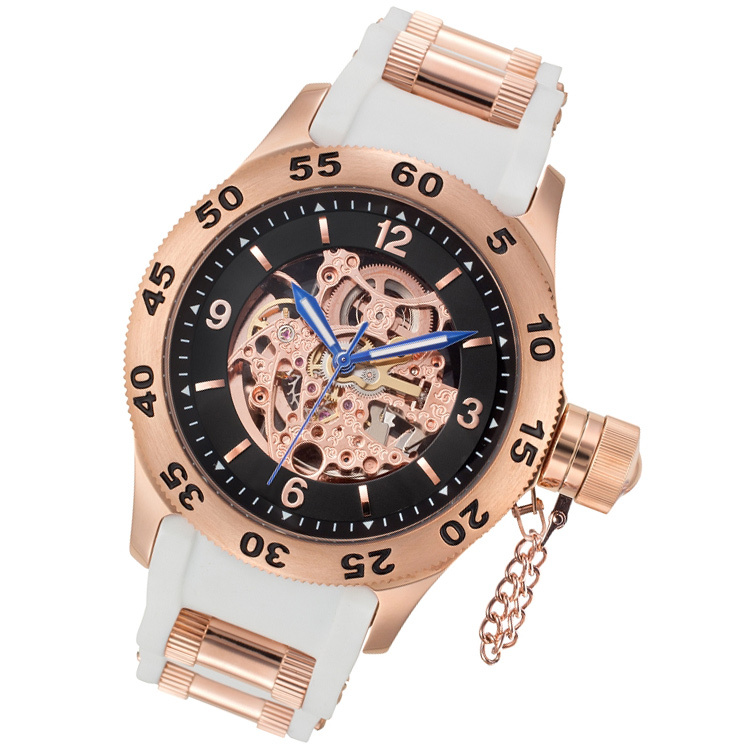 A white polyurethane bracelet with rose gold stainless steel barrel accents straps this watch to the wrist, while a buckle clasp ensures its secure placement.